Tired of mustard out of the bottle? This German mustard recipe lets you make your own German-style mustard, which is a spicy and fresh alternative to traditional mustards. 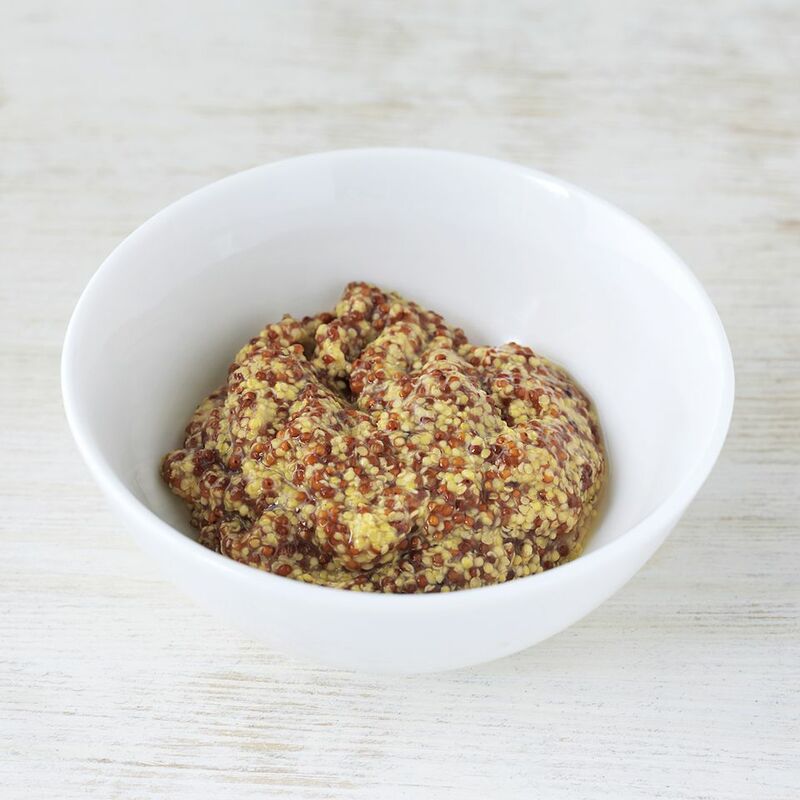 This is a must-try recipe for any mustard enthusiast, or if you are looking to add a gourmet sense to your next meal that incorporates mustard. In a small bowl, combine the mustard seed and dry mustard. In a 1- to 2-quart stainless steel or nonreactive saucepan, combine the rest of the ingredients. Simmer uncovered on medium heat until the mixture is reduced by half, which will take about 10 to 15 minutes. Next, pour the mixture into the mustard and mustard seed mixture. Let the mixture stand, covered, at room temperature for 24 hours. You may have to add more vinegar to keep enough liquid in the mixture in order to adequately cover the seeds. Scrape mustard into clean, dry jars. Cover them tightly. They can stay for at least 3 days in the refrigerator prior to use. You may want to break down the whole mustard seeds prior to adding them to the mixture. This is ideal for people who want a smooth mustard texture. To do that, grind the whole mustard seeds in a spice ​or coffee grinder for a few minutes. They can also be broken down by hand with a mortar and pestle. The salt and vinegar keep the mustard intact longer. Without them, it will more quickly lose its flavor. There are three types of mustard seeds: White, brown and black. White mustard is milder and not as zingy as brown and black seeds. For reference, white mustard seed and turmeric is what's in American yellow mustard; brown mustard seeds are used in most better mustards; black seeds are commonly featured in hot mustards.